WHAT USES DOES A1 COVER? 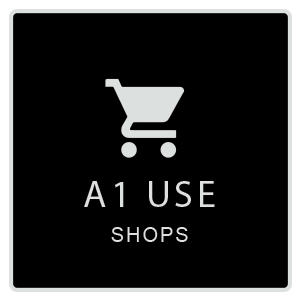 One of the most common use classes is A1 use which is for shops and general retail. However, A1 use class does also cover Post offices, sandwich bars, hairdressing salons, travel agents, ticket agents, funeral directors, dry cleaners & alterations, and hire shops. Some of the A1 planning applications which Extension Architecture has done have been for refurbishments and new shop fronts to existing A1 shops. Others have been from A3 use (restaurants) to A1 retail use, and vice versa. At Extension Architecture, we have done many change of use applications from one of the various classes to another. Have a look at the list of uses on the Planning Portal for more information. Tree Stone Change of Use Project – Read on for the project trail: our client came for help with planning for their change of use application, which was to switch from a simple, un-designed butcher’s shop (retail class) to a mixed use of retail and restaurant units. So that was from A1 to Mixed Use: A1 & A3. How we can help you: do you need a London architect to help you create drawings for your change of use application? We also have planning consultants within our team, so our approval rate is high. As part of our service, our architectural designers can submit your application to the council and liaise with them throughout the project. There is no extra charge for their time, and they will just add the council fee to your drawings invoice. For more information on changes of use, have a look at the Planning Portal’s page on the subject. We have extensive experience of submissions, including a variety of change of use applications. Give us a call today for a free consultation and quotation. A great way of winning approval from the planning department for your project is to use our 3D Immersive Design package. These visuals are photo-realistic and are useful to see your refurbishment before it happens. They are also handy to see if you wish to try other design options or materials at this point. For some examples, please see the link above. We can also help you with Interior Design. Have a look at some of our case studies here.